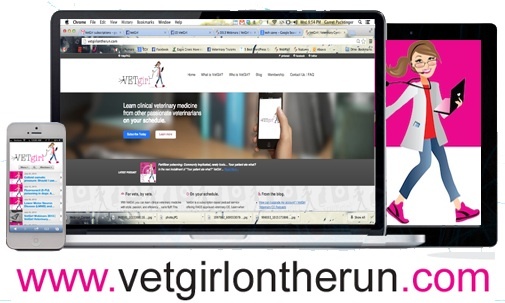 Having trouble listening to VETgirl veterinary podcasts or watching online veterinary CE webinars? Trying to watch your veterinary continuing education online webinars with your laptop, tablet, or smart phone? If you're having trouble, please read on! If you're having any problems loading VETgirl's online veterinary CE webinars or podcasts, know that there's an easy fix. While this is an uncommon issue, typically when we encounter this it is fairly easy to fix by just changing your browser. Most often it is a personal computer / phone software related issue. There are many web browsers on the market, including Internet Explorer, Firefox, Safari, and Chrome. Even within each browser, there are different versions, all supporting different things in different ways. Although there are many browsers out there,VETgirl uses Google Chrome as it seems to have the fewest bugs. Regarding the actual player format, VETgirl has done what many companies have – moved away from Adobe Flash and moved towards HTML5, for both our video format and our podcast format. You can use this link HERE to test your browser’s HTML5 compatibility. Any questions – let us know by contacting us here!